New technologies and trends have created an explosion of shows; some attempt to go broad, others narrow and deep, with plenty of confusion all around. Identifying central themes in technology conferences, or finding enough latitude where the theme is extremely well defined, is becoming challenging throughout the tech industry. Throughout the semiconductor industry, in particular, many are asking how various organizations will differentiate conferences in the future and who will be the target audiences to attend those conferences. • The number of conferences has exploded. Frequently two or more per week happen just in Silicon Valley, often with multiple tracks and overlapping themes, or a single-theme drill-down with much more limited appeal. • A number of new markets for chips—including autonomous vehicles, IoT and IIoT, artificial intelligence and machine learning, augmented and virtual reality and the cloud/hyperscale computing—cut across a variety of different segments. But these markets have so many facets, it’s hard to group everything in one place. • The slowdown of Moore’s Law has created a long list of possible architectural approaches and business models, with an emphasis on heterogeneous computing. That makes it more difficult to concentrate on a few central themes. • Consolidation has been increasing among the organizations that run conferences as they seek to capture more of the connected and emerging segments. Case in point: SEMI‘s absorption of the ESD Alliance (formerly EDA Consortium), FlexTech Alliance, MEMS & Sensors Industry Group, and the Fab Owners Association. As the chip industry realigns, conferences are attempting to follow suit. It’s unclear which ones have got this right because many of the trends are still unfolding, and it’s not clear whether potential vendors and attendees are in sync in all of these areas. This opens new opportunities, but it also creates a fair amount of upheaval, and the marketing buzz is only adding to the confusion. Even tried-and-true conferences are being swept up in the confusion. At the Design Automation Conference in June uncertainty was widespread about how SEMI’s acquisition of the ESD Alliance would affect next year’s conference. Exhibitors have 90 days to cancel booth space, and the clock runs out in late September. Most vendors don’t want to support two major conferences in this space. EDA is just one facet of the growing diversity at Semicon, which makes sense given the increasingly close relationship between design automation tools, IP and early process development. 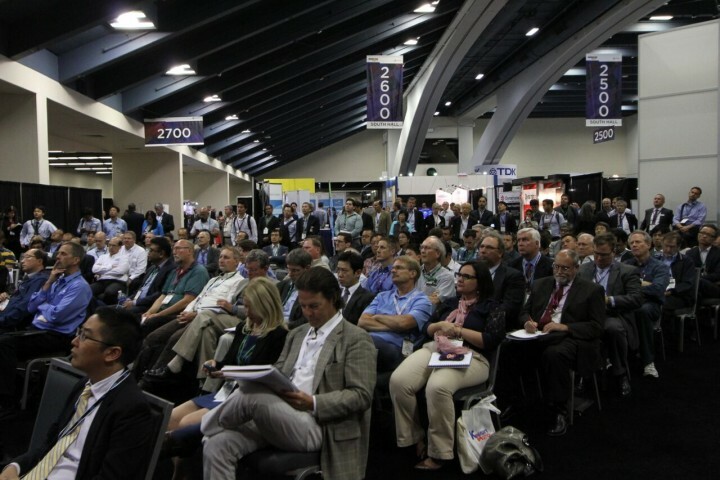 At the recent Semicon West, that diversity was on display for processes, device designs, and in end-user applications. The emergence of sensors, RF devices, and other mobile and Internet of Things components has been a theme for several years now. Less obvious, but just as important, is the increasing process diversity even within formerly monolithic segments. As Scott DeBoer, executive vice president at Micron, explained at the Imec Technology Forum—co-located in San Francisco near Semicon—not all DRAMs are alike. Memory destined for large servers at data centers has very different requirements than memory intended for automotive or IoT applications. Not only environmental requirements, but also latency, reliability, and other metrics can change depending on the ultimate use. Moreover, DeBoer said that the emergence of new integration paradigms such as 3D stacking and CMOS under memory structures has radically changed the cost structure for memory suppliers. Though increased density remains important, it isn’t necessarily dependent on brute force lithographic feature shrinks. Further increasing integration complexity, many advanced applications depend on sensors and display technologies as much as they depend on computing horsepower. An Steegen, executive vice president for semiconductor technology and systems at Imec, noted that facial recognition systems need cameras that will capture high-quality images in a wide range of lighting conditions, while augmented reality applications need displays that can seamlessly layer images and information onto a view of the real world. Every piece of data that an autonomous vehicle might need—What is the steering wheel orientation? What is the road surface like?—ultimately must be captured by some kind of sensor. The rising importance of market segments beyond logic and memory also was on display at Semicon West, where many suppliers showcased products aimed at established nodes using 200mm and even smaller wafers. Emmanuel Sabonnadière, chief executive of Leti, pointed out that edge computing doesn’t just concern the partitioning of computational tasks between a local system and a remote data center. It also structures the interactions between sensors and the local CPU that must act on the data they collect. A true “neuromorphic” computing architecture might observe that biological systems depend on the organism’s sensory systems to filter a large fraction of the data they collect before calling it to the brain’s attention. When was the last time you consciously noticed the texture of your chair or the smell of the room air unless something unusual happened? This kind of sensor-level filtering may be one of the keys to controlling the imminent data explosion. Aside from the requirements of individual devices, heterogenous integration schemes put particular emphasis on the materials and processes that tie the individual pieces of an integrated component together. Rama Puligadda, executive director for advanced technologies at Brewer Science, discussed redistribution layers in 2.5D integration schemes at Semicon West. One approach, chip-last RDL, starts with a sacrificial substrate that serves as the foundation for layers of metal wiring and associated dielectrics. “You can put a thin film in a mold compound and lay a chip inside a stencil,” Puligadda said. “This is still in the concept phase. But the idea is that the mold compound becomes a pre-formed stencil.” Once the RDL structure is complete, a reconstituted wafer—built from individual chips placed at the appropriate spacing—is bonded to it. Then the chip carrier film and the sacrificial substrate are both removed. Puligadda explained that structures like these can require several different carrier films, sacrificial substrates, and temporary bonding layers. Each of these films may have different requirements depending on the processes it must tolerate. Films that are strong enough to survive the process, but weak enough to debond without residue or damage, must walk a fine line between thermal, chemical, and mechanical stability and bonding characteristics. For example, the company’s newest temporary bonding materials have a dual layer structure, combining a thermoplastic for temporary bonding/debonding with a second layer for high temperature mechanical stability. Sacrificial substrates that must tolerate photoresist strip and other aggressive chemistries may be designed for removal by UV laser ablation. While this is intriguing from a materials standpoint, it’s a new area of focus for the industry. The same is true for developments in laser annealing, which was first introduced to semiconductor manufacturing by Ultratech (now part of Veeco) in order to achieve diffusion-less activation of shallow dopant implants. Now it is being considered for a range of applications that require surface heating without damage to the underlying layers of a structure. So which conferences host these diverse technologies? In many cases, that’s still not clear. For Semicon, diversity is essential to continue growing. Some conferences have benefitted from simply being in the right place at the right time. The Flash Memory Summit, for example, has swelled from a niche show about solid state drives along with the explosion in data. Other conferences, while no less important for the overall semiconductor industry’s progress, are becoming relevant to fewer people. This isn’t a trivial question for companies. Conferences are expensive for both vendors and attendees. Booth space can run as high as $150,000 (and sometimes more) at major conferences, while a single table-top booth can run $3,000 to $8,000. But the real cost is staffing booths with enough expertise to provide in-depth answers for attendees. And on the attendee side, the cost is time away from the office or lab, which is often hard to justify to their bosses when there are no clear metrics. This is one of the reasons that some big companies have begun setting up their own conferences with users and key customers. TSMC‘s Open Innovation Platform ecosystem conference continues to gain steam. So does Arm TechCon. And there are various sponsored user group conferences, such as the Synopsys User Group (SNUG), Cadence‘s CDNLive, and Mentor’s User2User (U2U). So which approaches will be winners? At this point, it’s hard to say. Before all of these new technologies took root in the chip market, the general assumption was that conferences were dying off. That turned out not to be the case, starting with hundreds of security and IoT conferences at the beginning of the decade, which have been supplemented with an equal number of AI, machine learning and automotive conferences. As with most new technologies and ideas, it will take time to sort out. Until then, there will be plenty of confusion everywhere.